Jeremy Corbyn is at the centre of a very public political coup d’etat led by the PLP, sections of the media and the Blairite rearguard. Some have the best intentions, most do not. Labour is in civil war and Corbyn is the Winter Soldier. While you can get consumed in the spectacle of the Laura Kuennsberg media-cabal in operation, or watching Alistair Campbell knifing people on autopilot, the reality is that the conspirators lack three things necessary to succeed: a mandate from within the Labour Party membership, an alternative coherent platform, or a viable candidate. Their project is based on two things, personal attacks and ‘Anyone But Jeremy’. I’ve read nothing which has deflected from the suspicion that the Blairites’ Corbyn coup is motivated with one eye on the Brexit turmoil and another on next week’s Chilcot Inquiry. While the plotters plot the irony overload klaxon sounds with Campbell – creator of Tony Blair Inc – talking about decency and ‘it’s becoming like a personality cult’ (sic). The disconnect between the Parliamentary Labour Party and its membership is now so huge it is two entities operating under one name. This is creating a Psycho Party with Norman Bates and Mother appearing in public dialogue but private grief. It’s time to go down to the fruit cellar. Corbyn’s personal manner is under a hail of attack and has been ever since he was elected. Male politicians are expected to be decisive, smooth and charismatic, and Corbyn certainly fails on all fronts. I like that he doesn’t care at all. He is relentlessly uncertain, collegiate, a team-player in a one player game. He is not an Alpha Male and this causes complete cognitive dissonance for most of the commentariat. The question is not has Corbyn failed. Of course he’s failed. He’s failed because he could not succeed under the terms set-out about masculinity, political leadership and economic orthodoxy. The question is not has Corbyn failed, the question is what you would replace him with, and what you will do when they come for you? How will you manage to break from your own party, and reject the tens of thousands of grassroots members motivated by a new left ideal? This isn’t just a battle for the soul of the Labour Party, it’s a battle for how you do politics. The media class believe in themselves. The story goes like this. What you need is a slick PR machine around you, simplified and coordinated messaging, triangulation and seizing the fabled ‘centre ground’. It’s Lynton Crosby still or crash. The problem with that is that’s exactly what they had with Ed Miliband and it was a dire and dismal flop, and it’s a model that’s been overwhelmingly rejected by the Labour Party members. It goes against the grain that the anti-politics is driven by people completely sick of this anodyne artificial politics. Any incoming post-Corbyn leader can ignore all of this if they want but they are likely to fail. “If there was ever a time for the phrase “head in the sand” to be used, it is now. Either these members of factions like “Labour First”, “Blue Labour” and “Progress” are so utterly detached from the public they cannot see the wood for the trees, or they are so rabidly self-interested they do not care.Whichever it is, the working class sent a clear message to them with the EU referendum on Friday. And, in their usual, obtuse manner, they are choosing to ignore it. Middlesbrough, in the North East of England, voted to leave the EU by 65.5% – making it one of the stronger Brexit areas in the UK. But the bizarre thing is that this is a Labour stronghold. So why did they ignore the party’s Remain message en masse? The town was ranked as the most deprived in England in 2015, based on the number of areas it has that are considered to be impoverished. Over half its neighbourhoods were living in deprivation; an increase on 2010 statistics, and the town has been in the top ten since 2004. Middlesbrough ranked third in the “Employment Deprivation” index; that is, the number of people who are on Job Seekers Allowance, Incapacity Benefit, Employment and Support Allowance, or Severe Disablement Allowance. Furthermore, a quarter of the population are considered to be living in “Income Deprivation“, which is, in layman’s terms, families who are staggeringly poor. The number of Child Protection Plans in place in Middlesbrough is double the national average with the number of looked-after children 88% higher than the national average. There’s no Northern Powerhouse. That was just spin. For those citing the remarkable spontaneous show of support for Corbyn yesterday, there is though a warning. Political activists aren’t representative of the electorate, and, as we’ve seen here in recent years, it’s easy to delude yourself from within the bubble that ‘the movement’ or the moment you’re experiencing is hat everyone else is experiencing. It isn’t. Yes, Labour won mayoral elections in London and Bristol, and I expect it would do relatively well in a general election in major urban centres, particularly among the minority of younger people who can currently be mobilised to vote, not least in diverse communities. Elsewhere looks to be different. In smaller working-class towns, the danger of a re-energised UKIP ‘doing an SNP’ and storming Labour heartlands is a very obviously clear danger. The prospects of winning support in Scotland in a few months are nil. Of the likely candidates Angela Eagle and Tom Watson are current favourites, with Alan Johnson and Hillary Benn lurking in the wings. But what is the political task? Is it to paper over the cracks and ‘save the party’? Is it to pretend these fundamental differences don’t exist? Is it to win the next election over Boris Johnston? The reality is that a ‘unity candidate’ in Watson would be a very short-term prospect, a new centrist party would split the vote and confuse the ‘brand’, and an entrenched Corbyn Labour can’t win. Why does any of this matter in Scotland? Because Labour’s crisis remains at the fault-line of the British constitutional crisis and at the heart of English cultural identity. If Labour can’t articulate an alternative then someone else will. And, even if we have watched the collapse of Scottish Labour, it still survives on in the folk-memory of the broadcaster. Yesterday Incoherent Annie intimated her support for ousting her leader. Laura Kuennsberg tweeted enthusiastically: “Breaking – Scottish Labour leader, Kezia Dugdale, says ‘if I had lost support of 80pc of my MSPs I could not do my job’. Reversing the Labour crisis from negative to positive seems unlikely but it is closely tied to questions of English identity which have lain unexamined for too long. Brilliant Mike – you’re on fire. This is an absolutely critical moment for the UK and I think that we need to be clear that to have any chance of meaningful Scottish indy some one needs to take on the banks in London – at the moment that some one is JC. This is a bankers coup against JC. Bankers want JC’s head on a plate because he wants to take away their unwarranted privilege to control our money supply. This form The Canary is so important to understand (link below): The truth behind the Labour coup, when it really began and who manufactured it (EXCLUSIVE). Not only does this show in practice how our media narrative is controlled by PR agencies but it demonstrates how banks and The City manipulate the media agenda in order to influence our political system. The City is pumping money to Corbyn’s opponents and I agree with Mike, I think Corbyn deserves support because he’s fighting up against many of the forces we all have problems with. If giving any funding is a bit too much, why not make a public announcement of support. Personally, I’d love to see everyone using the hashtag Chilcot on any tweets concerning Labour. Make the public aware it’s release is coming up and maybe the Tories won’t delay it’s publication again. Remember, Blair is the very epitome of this neo-liberal banking/ corporate world – and he is the man with most at stake with Chilcot. Perhaps the solution to “Lynton Crosby still or crash” is, in fact, the young? This is not going to resolve any time soon. If Labour were a company they would be in administration due to lack of competent management. Blair destroyed the Labour Party and it needs to start again. Corbyn is its chance to regain its soul but it will take time. Maybe we should consider a) replacing RE with PE and lowering the age at which one can begin to vote and b) testing older people’s capacity to vote, rather as we do with the driving test. Have too many of us been on automatic pilot for too long due to ‘same old same old’ feeling caused by (relative) peace and stability since…say, WW2? Gordon Brown to make a post Brexit (post Engxit) speach in Edinburgh. Klunking fist makes a reappearance. What could Gordon Brown possibly say that anyone would be interested in? Exactly john page he is a pathological liar “proven”,allegedly amongst other things,he is a tool of the “elite” how people can continually be fooled by this muppet is beyond me. The UK has demonstrably fractured and there has been a failure by its political elite. Why on earth should it have a seat at the UN Security Council? Again that relates directly to Chilcot. We know how desperate Blair and Bush were to get a UN resolution to ‘legalise’ their war crime of invading Iraq. So much so that they decided to bug and intercept the communications of the non-permanent members of the UN Security Council at the time and that was leaked by a very brave young woman working as a translator in GCHQ. Her name is Katharine Gun for those that don’t remember. After her whistleblowing , the US and UK dropped their seeking of a UN resolution and changed tactics, going for the ‘WMD’ threat instead and the infamous ’45 minutes’. The US and UK should have been kicked out of the council for the utter contempt they showed it. Can England ever accept that it is not Britain? Kezia Dugdale can’t do her job even with the support of 100% of “her” MSPs. How is leading your party into third-place Holyrood finish behind the SNP AND the Tories(a party that has been universally despised in Scotland since the Eighties) “doing (your) job”, Kezia? For that matter, how did you KEEP the job after that performance. Could you and “SLAB” kindly go into exile? Preferably in Uzbekistan or somewhere thereabouts? Critical moment for the Labour left and Corbyn. Disappointed to see Bella columnist Gerry Hassan support the coup – he has tweeted an anti-Corbyn message on the hour every hour since Corbyn’s crisis began. He criticises Corbyn for being ‘ultra-left’ – this from the same man who supported Rise in the Scottish elections. I hope Corbyn wins – mainly because I despise the Labour Right – but either way this looks like the beginning of the end for the Labour Party. I read Hassan’s article on his website and was extremely disappointed. Thought it was no more than a smear. In short the Labour movement, not the Labour Party is finished… (and this coming from a Clyde-sider socialist) In 2016 neither can demonstrate that they are fit for purpose. Corbyn is simply, in Darwinist terms, the runt of the litter of a dying species. A Leader Corbyn is NOT! Yet look at his record. Hugely popular leader with party members. Brought hundreds of thousands of new faces to the Labour movement. Under his leadership they have won all the by elections and the English Council Elections. He returned a 63% Remain vote in last week’s referendum. What’s more spectacular about these results is that he has everyone against him. While other Labour Party leaders could rely on the general support of The Guardian and other Labour newspapers, plus a modicum of balance from all the TV stations he has it all working to undermine him constantly. Even in the polls he’s up alongside the Tories. I’m no fan of Labour, but I do have some respect for Corbyn. “Middlesbrough, in the North East of England, voted to leave the EU by 65.5%” – I come originally from a town just 10 miles down the coast. My father worked in Redcar steelworks which has just finally been given the kiss of death, a symbol of the empty promises of renewal given to the region by all traditional parties since Thatcher. The people there were voting not only as a protest against their feeling of abandonment and neglect, but as a dumping ground for refugees in numbers disproportionate to their population amongst all the other arguments that reflect the general feeling “it can’t get any worse!”. Born to a Labour-supporting, union-member father, I naturally voted for Labour for 30 years, even after coming to Scotland 36 years ago, but never ever again! Blair sounded the death nell when he took Labour to middle-of-the-road neoliberal conservatism and then joined the far right in bombing Iraq (hence the need for all parties today, especially the Blairite PLP, to silence Chilcot and stop Corbyn standing up in parliament and saying what the real people believe). As a citizen of Scotland, I ended up voting for the only credible option – a party that listens to the people, the SNP. Originally a conservative, nationalist party, it has modernised and by all forms of metrics is the only party that can be considered as representing the left in any way in Scotland. Corbyn is the only hope England has for what the idea of ‘Labour’ stands for historically and what the voters in the party voted for. The lunacy of the Blairites was to force an early leadership election and end up with the person the membership, not themselves, believed in, before anybody in Labour had the slightest inkling of what the party now stood for and how they could coalesce around it. As career politicians with no popular mandate, they are still in denial now and making the same mistake the apparently ‘modernising’ party did with Michael Foot: charisma à la Kinnock and Blair will struggle to convince and then be seen for the groundless hot air and spin it really is. The younger generation who supported Corbyn within the Labour party, and who supported staying in the EU throughout the UK by a similar 70%+ , are now so cynical that they will probably not in future vote for any politician because they are not being listened to by anybody. The youth element in last night’s EU protest in London showed that they still have some fight in them, but they have no real political force able to project their wishes and rights for the future, THEIR FUTURE. My Scottish daughters reflect this and luckily still vote for the one convincing voice of integrity and compromise the country has in Nicola Sturgeon … despite Alex Salmond. Corbyn will be ousted, the Labour party will split and most current wet-Labour MPs will slink off to the Liberal party like the Social Democrats before them. Cynically, it will be a long, slow death before the English Tories end their internecine battles and rGB finally says goodbye to its ‘Greatness’ thanks to the the failure of any kind of opposition ..
…and instead of the current “Mutiny on the Bounty” metaphor for the rUK Ship of State, they end up with the “Marie Celeste” cast adrift on the high seas with only the rats left on board. End of old-man’s rant. A great article, Mike, whatever! @Mike Harland. I really appreciated your comments and agree with many of your points. I heard your own disappointment and the view that the Youth that we have incited to engage have again been betrayed. I agree that Scotland has to now make its own way forward. To me, your statement above was not a rant rather I heard it as a heartfelt breath of disappointment. As someone with a long and distinguished career of failure in the business of political forecasting, I am predictably of the opinion that JC, contrary to most commentators, is far from dead-in-the-water. Which other political leader, these days, is capable of overcrowding meeting halls or of mustering substantial crowds of supporters outside Westminster at short notice? If all list criteria are met, even his critics agree he’ll be re-elected as leader, despite what the PLP and their sympathisers may say or do. I am further of the opinion that a General Election in the near future will prove irresistible. Given that UKIP and the Tories have admitted to having no game plan going-forward in the new political reality, what’s to stop JC bearing his Socialist breast, appealing to the people, and coming through the centre? Don’t forget,that good old Socialist rhetoric didn’t do Sanders any harm at all in the US. Mr Corbyn is a tough little nut who’s been around Brit politics for a long time; obituary writers beware. Great piece Mike, the frustration expressed by the masses is exacerbated by the failure of the left to recognise the need to present candidates worthy of their vote. I like JC and his scruffy rough round the edges image his values are appreciated and his sincerity sets him apart from the traitors and duds that surround him. Why do Constituency Labour Party members continue to present loyal Blairite party recruits to the electorate? All those who support JC and whatever his “plan” might be need to get themselves organised and oust the real problem in the Labour Party at local constituency level. I can’t recall there ever being an “Alpha Male” at the helm of the Labour Party there have however been some with inflated Ego’s. (rather than good sound bites, suit wearing & aristocratic posture skills). particularly given that it appears not in the service of his own ambitions but in hope of actually changing UK , its political taboos & orthodoxies and improving peoples lives. contrary to many i don’t think this article supports corbyn, or anyone finally. in that its quite similar to owen jones. why does jones keep coming up? 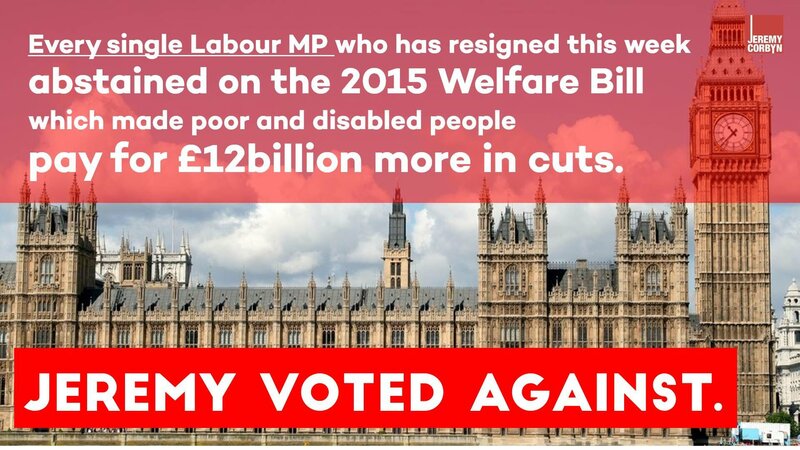 he backed the tory lite miliband in GE & lacks consistent political values or authenticity, except being’moderate’. he is moderate in the sense that he is comfortably middle class & real change is not ultimately important to him, let alone essential or urgent. english guardian journos are dinner table conversationalists,their criticisms of the powerful are so tiny or so fleeting that they are never a target for them. australian guardian journos actually hold the powerful to account fairly often, so thanks for them. hassan has always been a smug academic w/ no real concern for ending class privilege and cat boyd’s ‘i just got back from holiday in cuba’ as an opener in her column is going to get her pic used as a dartboard in housing projects. ditto varoufakis and his/wife’s holiday home in greek islands. in post brexit madness most commentators in scotland are treating EU as if it was a utopia that must never be lost, progressive & democratic. nauseating. & i wonder if future SNP govt in indy scotland will use it to get away w/ neoliberal murder. Just hope he can hold on and resist this establishment-backed coup. Democracy at stake – though whatever happens Labour is dead. But perhaps enough can be salvaged after the inevitable (and welcome) split to create a left-of-centre force down south with potential to change things. The Corbyn leadership is also about who controls political parties – is it the members or is it the parliamentarians? Simple as that. Disgracefully, rather than putting up a candidate Corbyn’s opponents tried to undermine him by forcing his resignation. Shame on New Labour MPs like Ian Murray and New Labour Twitterati’s like Gerry Hassan who supported this. Given that Corbyn’s opponents have chosen Angela Eagle as their candidate – a candidate who supported Iraq, PFI, Tuition Fees and Trident – my prediction is that Corbyn will be returned as leader. Eagle is such a poor candidate that I’m thinking she must be a stalking horse?